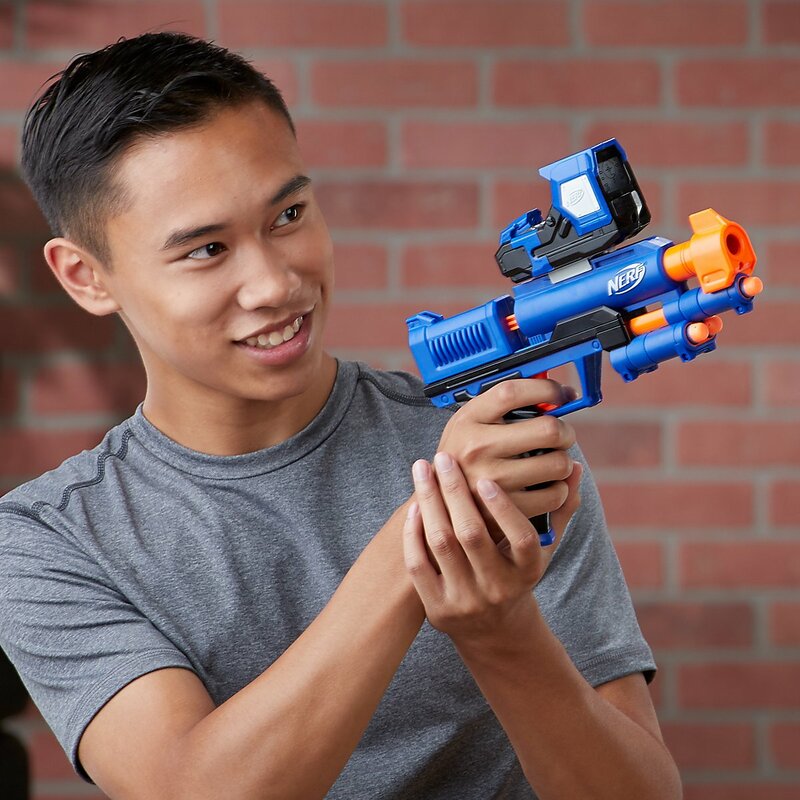 A handheld nerf blaster with single shot action and precision light beam targeting. 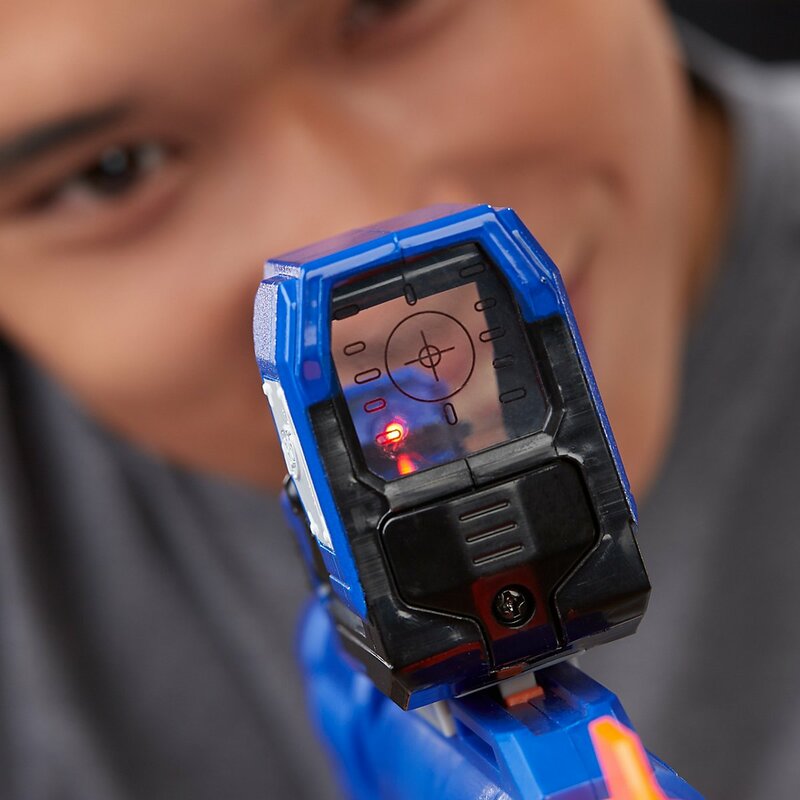 The Surestrike lives up to its name: The cool pistol is equipped with a sight that makes every shot a hit. 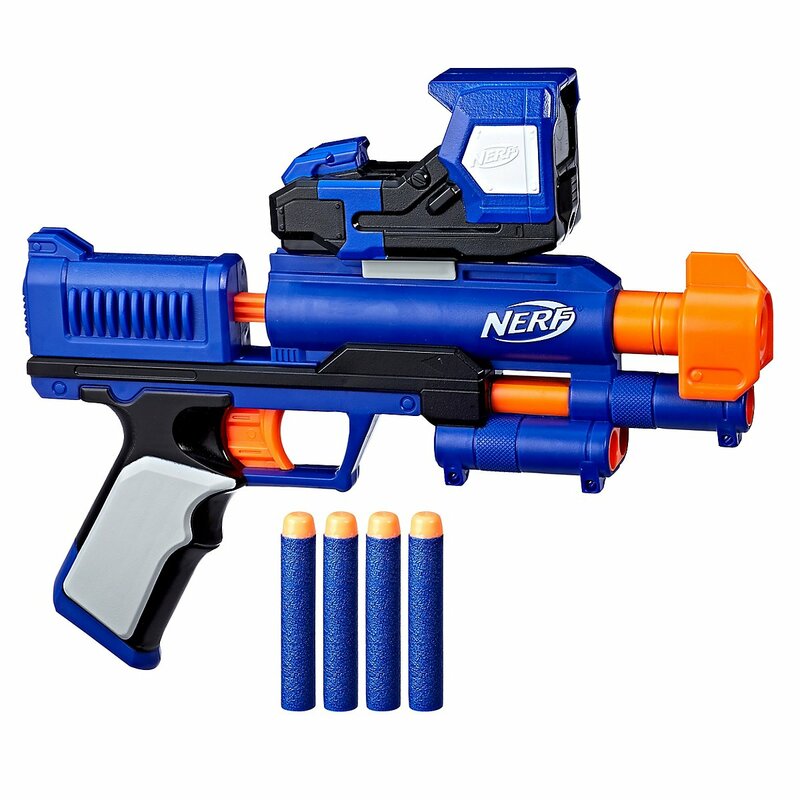 The Blaster itself is a practical pistol with a sled for reloading. 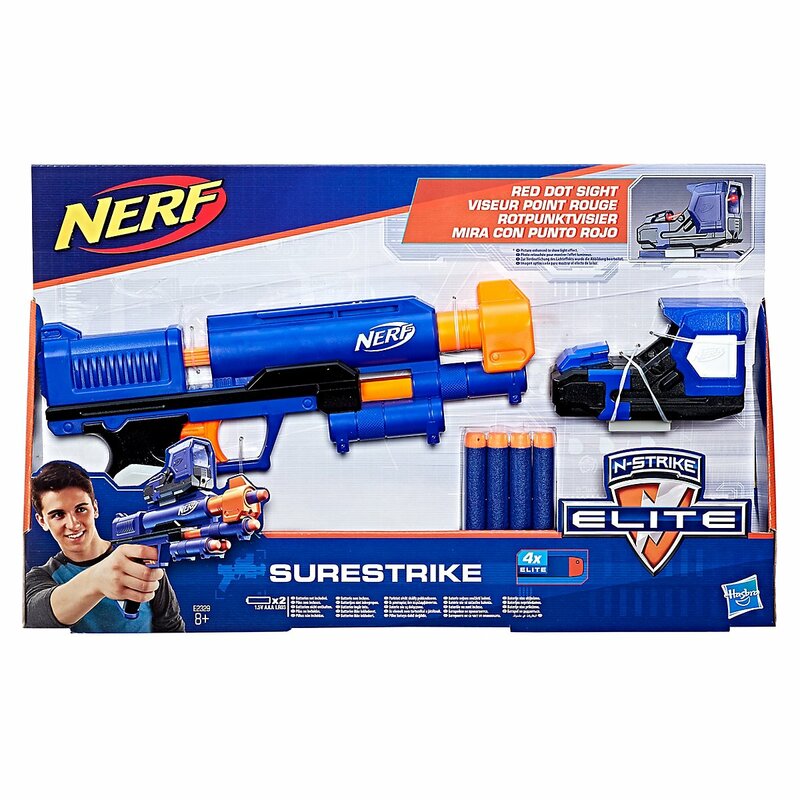 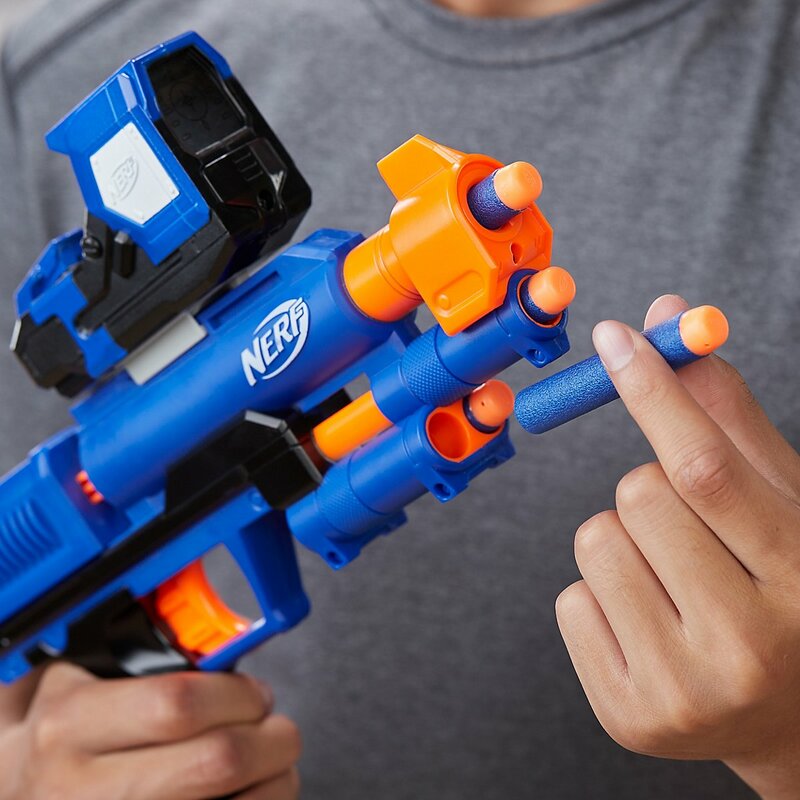 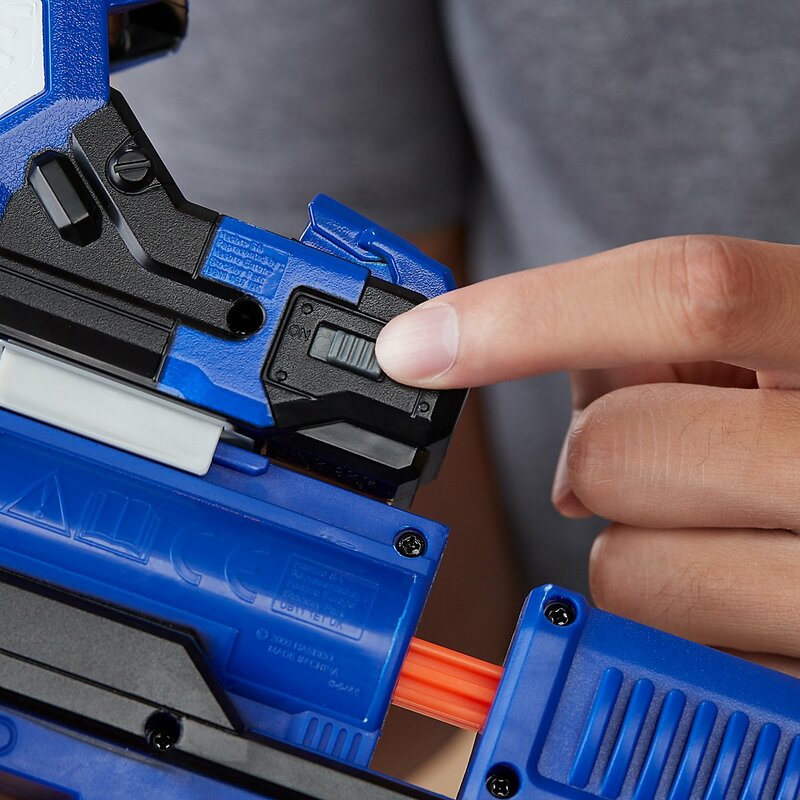 In contrast to clumsy blasters like Strongarm or Disruptori, the Surestrike is very slim, so that it doesn't look too bulky even with the target sight. 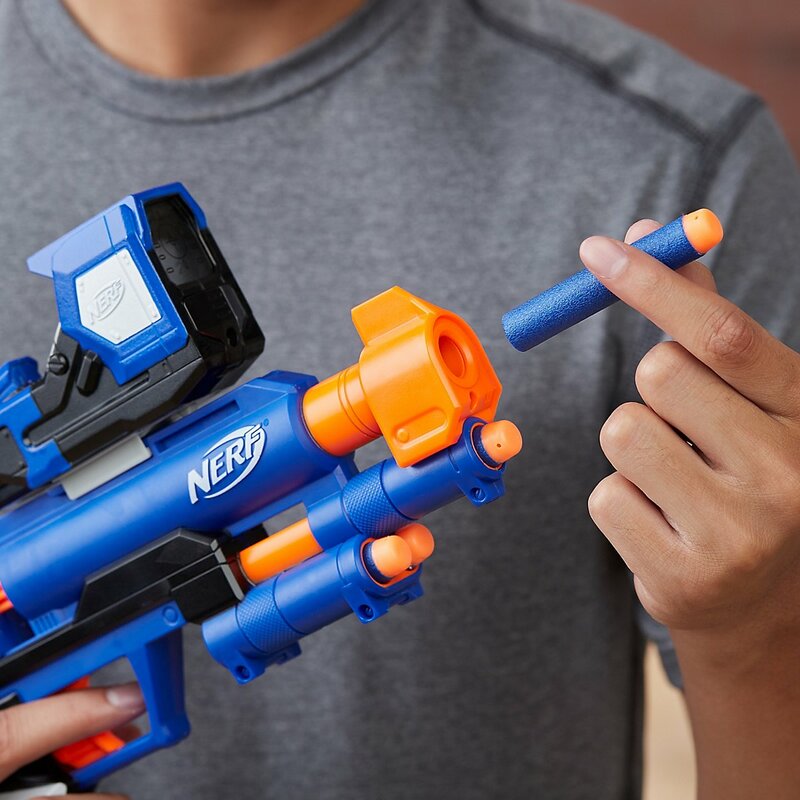 Thanks to the Nerf rail, the Red Dot is compatible with all blasters from the N-Strike and Modulus series that have such a rail.